EAST HARRIS COUNTY A Harris County Constable who served for this area for close to 30 years passed away last week. 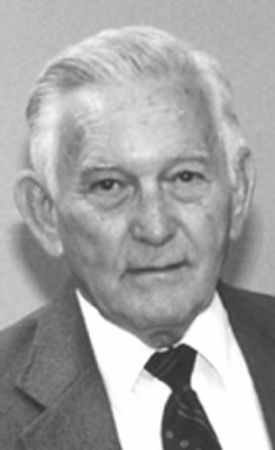 James L. Douglas, 82, of Old River-Winfree was born Jan. 15, 1928 in Quitman, TX and passed away Nov. 10, at home. He was a U. S. Army veteran and a member of the Goose Crook Masonic Lodge #1192 and the Baytown Shrine Club. He began his career in law enforcement in 1952 with the Texas Liquor Control Board and retired in 2000 after serving 28 years as Harris County Precinct #3 Constable. He was preceded in death by his parents, Rabon and Eula Douglas; sister, Johnnie Bullock; and niece, Judy Jones. He is survived by his wife of 49 years, Opal Douglas and daughter, Sheryl Fisher, both of Old River-Winfree and grandsons, Cody and Dylan Fisher, both of Beach City. Funeral services with Masonic Rites was on Nov. 13, at Navarre Funeral Home with Chaplain Kevin Taylor officiating. Burial followed at White Cemetery in Highlands. Serving as pallbearers were Harris County Deputy Constables. Arrangements were under the direction and personal care of Navarre Funeral Home & Cremation Services, 2444 Rollingbrook Dr., Baytown, TX, 77521 (281) 422-8111. CROSBY– Jack Sheffield, who worked in the banking industry for nearly 40 years, passed away Nov. 1 at the age of 66. Sheffield began his career at American National Bank in Beaumont. He later worked for Lone Star Bank in North Shore, which later became Sterling Bank, where he served as vice president of commercial lending. He ended his banking career at Crosby State Bank. James Edward Jack Sheffield, 66, beloved husband, father and grandfather, died Nov. 1. He was a resident of Mont Belvieu. Jack was born in Beaumont July 6, 1944 to James and Louise Sheffield. Following his fathers death in 1966 his mother married L.C. Horn, who became a surrogate father to him, his brother and grandfather to his and his brothers children. A graduate of Beaumont High School and Lamar University, Jack began his banking career in 1969 at American National Bank in Beaumont. 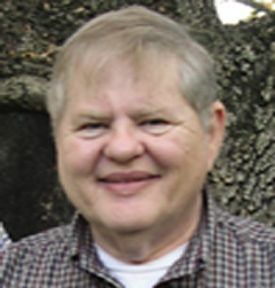 Over the course of his nearly 40 years in the banking business, he served at First National-Houston, Lone Star Bank and later Sterling Bank of North Shore, and Crosby State Bank. Among his interest were his membership in the Marine Reserves, the Optimist Club, Sons of Confederate Veterans, and the National Rifle Association. Later in life he trained to be an EMT. He was a staunch conservative and part of the TEA Party movement. He is survived by his wife Linda Sheffield, daughter Michelle Pustejovsky and husband Clint and grandchildren Charles and Rebecca Pustejovsky; son Jason Sheffield and wife Summer and grandchildren Trevor Turnbough and Bryce and Hayden Sheffield; brother Robert and wife Kathy, beloved nephews Robert and James Sheffield and beloved niece Elizabeth Wenner. Funeral services were held Nov. 3 at St. Timothys Episcopal Church in Houston. A private interment followed in Beaumont. For details, please see print edition.